The Litiz company produces aluminum castings weight from 40g up to 8kg (the weight of poured aluminum can be over 10kg). Moulds and casting machines are used for injection molding. We use our own hot-chamber die casting machines and a specific pressure of 630 to 1000 MN/m2. 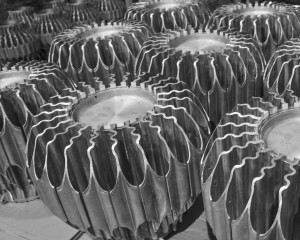 We have experience of producing up to 4 castings per minute on such equipment. Maps of die casting are developed for each individual product. They are entered in the computer and monitored by technologist in real time. There is used the FMEA method for the failure analysis in the Company. Casting production uses thermostats to ensure the quality of castings and economical use resources of casting tools. The mold and casting tools are transferred to the production by customer. They can also be purchased by us for customer accounts and are insured against accidents. We keep records of the use casting tools in production. If necessary, the customer can get a report of spending its resources. We serve casting tooling and repair it. The need for and the cost of capital repairs are always agreed with the owner. One of our main advantages is flexibility in the supply of castings consignment of different sizes. Despite the fact that the aluminum die casting designed for large consignments (mass production), we can supply the medium and small consignments of castings.